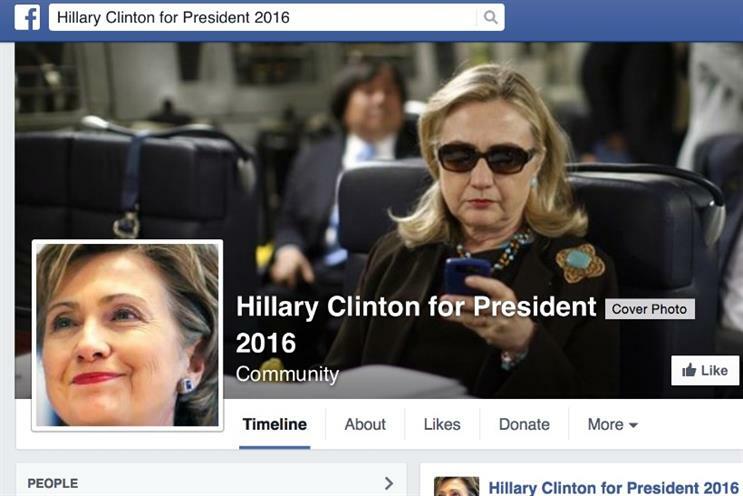 Hillary Clinton gained 1,773,391 views and 44,660 shares within the first 10 hours of the Facebook announcement of her presidential aspirations, while her YouTube video garnered 1,481,736 YouTube views, 17,404 'likes' and 4,667 'dislikes', according to marketing technology specialist Amobee. On Twitter, there were 251,000 tweets about Clinton in the first 10 hours of her social push, with 9% of those positive in sentiment, 80% neutral and 11% negative. The findings indicate that there a greater cross-section of opinion on Twitter, with sentiment spread evenly, Amobee said. Clinton’s social campaign kicked off on Sunday (12 April) with a YouTube video and a Twitter push announcing her bid for presidency and the start of her campaigning road trip. Amobee examined the response across social media and the web, with factors such as immediate social response, commercial brand uplift, key political themes, and associations to Clinton’s personal brand. It also compares her social profile to those of Republican candidates. David Barker, Amobee’s vice-president and ad managing director EMEA, pointed out that focusing on positive and negative sentiment across social networks can be misleading, given the "large neutral pool and the silent majority who do not ‘thumb’ videos up and down". "Our take on the data is that Hillary has quite a bit of leeway to define herself to the American people for this election cycle," he added. Examining the negativity surrounding Clinton's social blitz, Amobee found that within the first few hours of Clinton’s announcement, there were 89,847 tweets using the hashtag #whyimnotvotingforhillary, with 3,476 mentioning ‘Benghazi’. Elsewhere, Amobee found that brands had not used social to align themselves with Clinton, apart from MTV, which picked up some social traffic because of a joke made at the MTV Movie Awards about Clinton joining boyband One Direction. The comedian who made the joke, Amy Shumer, garnered 642 Hillary-related tweet mentions and One Direction generated 616. The topic most associated with Clinton on 12 April was her campaign theme ‘Everyday People’, while regarding her own brand strength, unsurprisingly it was its highest in three months on the day of she voiced her presidential ambitions. "That said, in the two weeks period between March 3rd and 17th there was 2.6 times more consumption around Hillary Clinton as on the day of her announcement," Barker said. "This was driven by email-gate. Leading to the key question if that negative association has stuck to her brand." Comparing Clinton to her Republican rivals, the wife of the former US president Bill Clinton gained twice as much interest and brand visibility in the past year, "despite Hillary not being in office during this same time period", Barker said. "Ted Cruz only generated 46% as much consumption as Hillary Clinton between March 2014 - March 2015, Jeb Bush 43% as much consumption, Rand Paul 40% as much, Chris Christie 37% as much, and Marco Rubio 12% as much consumption as Clinton. Love her or hate her, so far Hillary is the dominant political brand in this election."